DUELER combines the high-level traction and toughness that is required for fully fledged 4WD vehicles. The Firestone range of 4x4 and light truck all-terrain tyres are for drivers who want to go wherever the road takes them, from main streets to the bush. All-terrain performance is complemented by added technology that promotes a smooth and quiet ride. The Ecopia combines a unique tyre compound with fine detailing to give a tyre that not only reduces fuel consumption, but gives a quieter ride and improved road holding. The Ecopia offers reduced rolling resistance without compromising on braking performance. Supa Quick is proud to stock a range of quality SUV tyres from premium brands Bridgestone Ecopia, Dueler and Firestone. With each fitment of SUV tyres, our customers are assured of our professional advice, top-quality service and expertise. Every SUV tyre that leaves our workshop floor is covered with a 60-month (from the date of manufacture) manufacturer’s defect guarantee. If you ever find yourself in the position where you need to make a claim, please bear in mind that used tread will be taken into account. When it comes to SUV tyres and all auto fitment services on offer at Supa Quick, we maintain our stance as industry leaders by promising to do each job correctly and to spec, each and every time. We are also on hand to offer advice relating to your specific requirements and will always give you the best, most professional and straightforward answer to your questions. We take the time to understand what it is you need and then communicate the best possible solution. We will also offer a free assessment of your vehicle at its components at any given time to ensure that you’re travelling around in safety. With more than 250 fitment centres located around South Africa and our 4000 auto fitment experts on hand, you are assured of having your requirements met and perhaps even exceeded. Our commitment to the supply of quality products and superior service will always leave you satisfied. We also stock 4x4 tyres and passenger tyres in addition to our range of SUV tyres, but we don’t stop there. You’re also assured of premium service in the fitment of car batteries, shocks, brakes and exhausts. 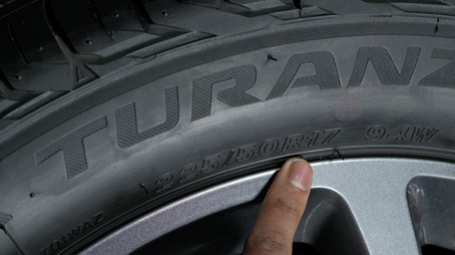 Find your nearest Supa Quick branch and come get your car fitted with new SUV tyres.